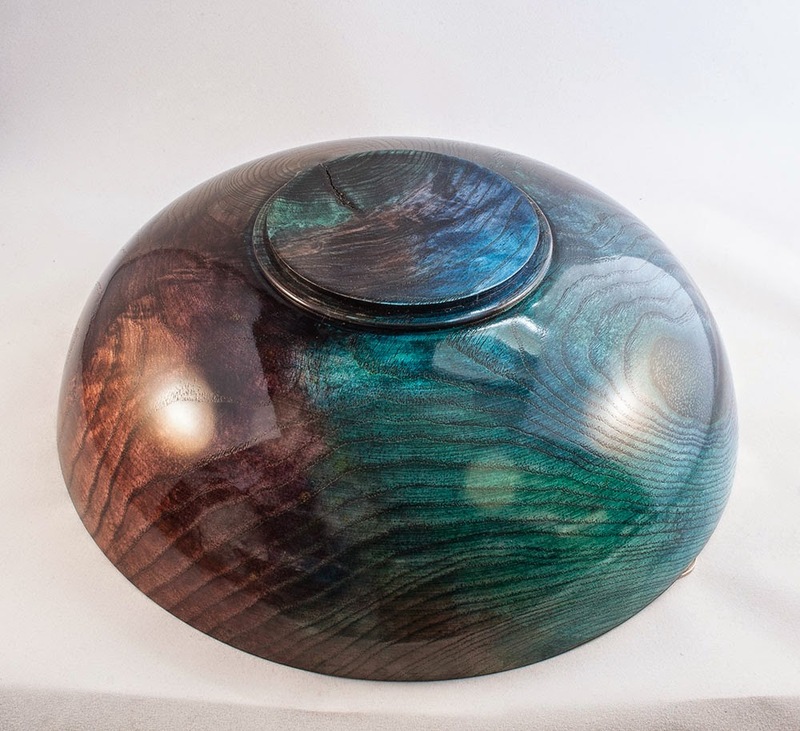 The UK workshop forum competition has changed to a three monthly format, the first subject of the year is a Box, this was my entry, which made the top spot, very pleasing! 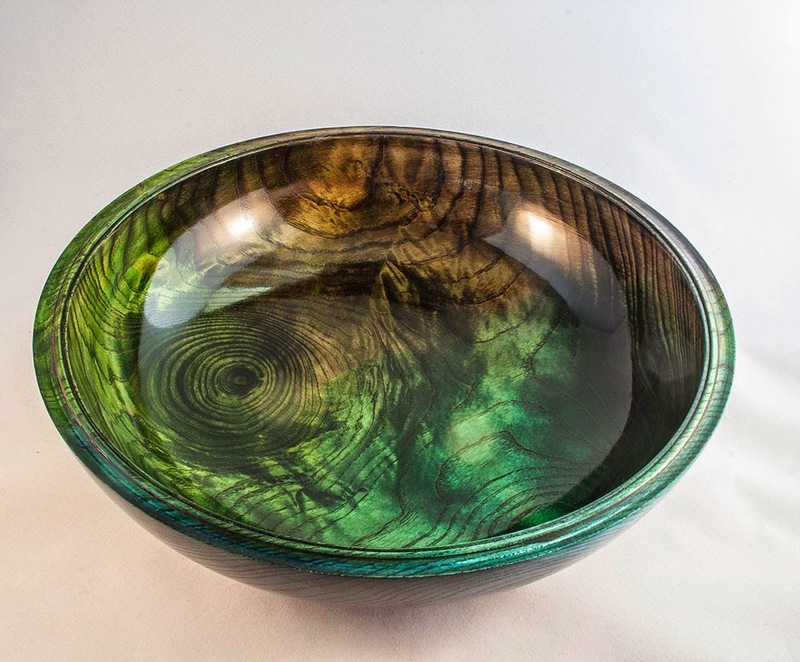 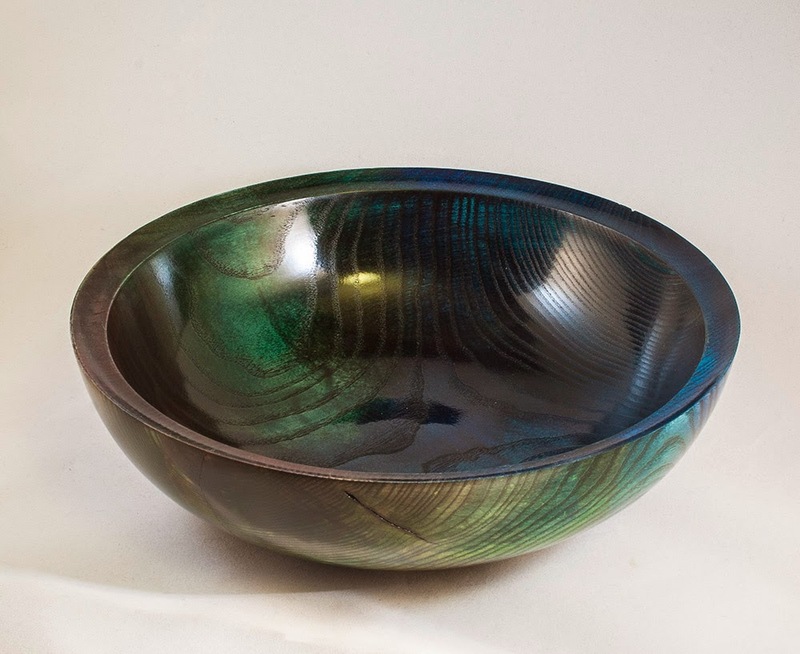 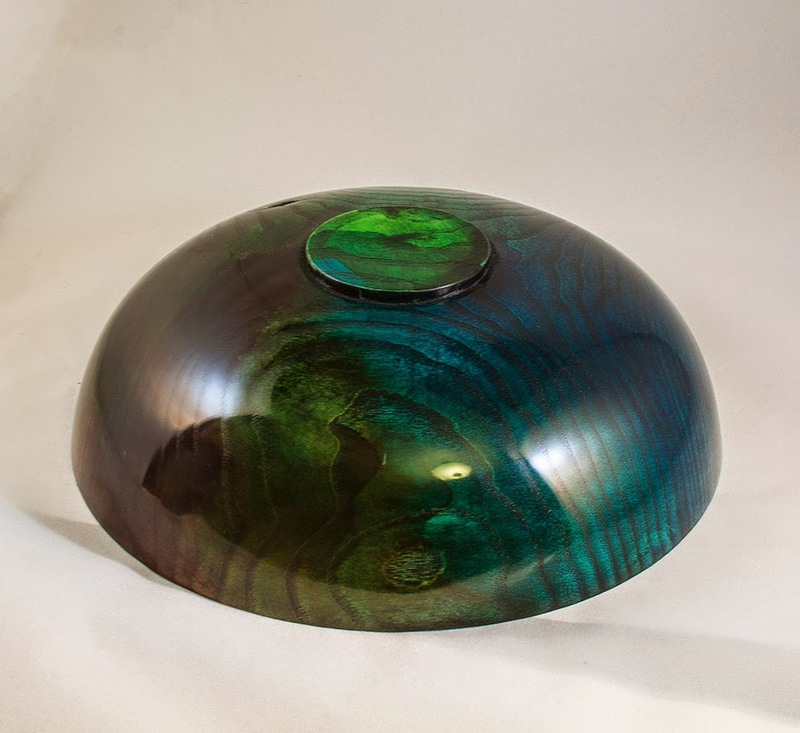 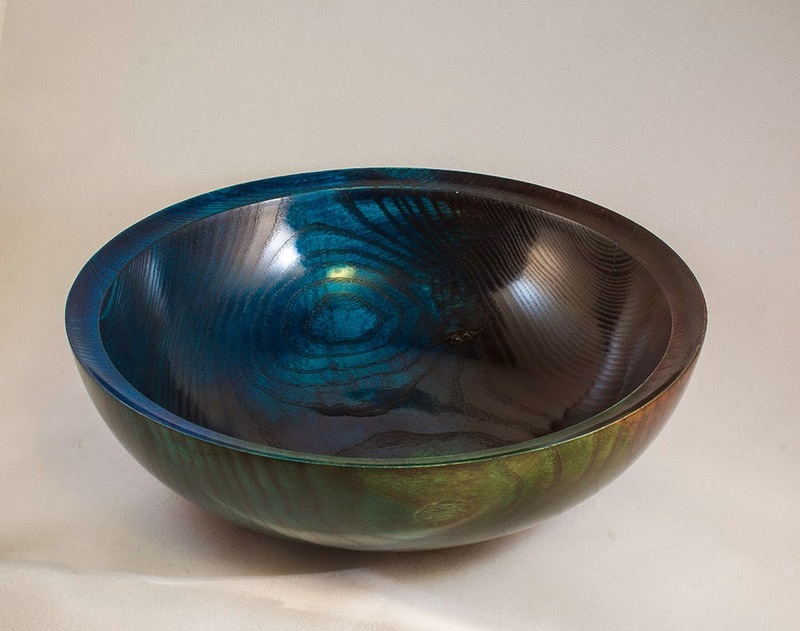 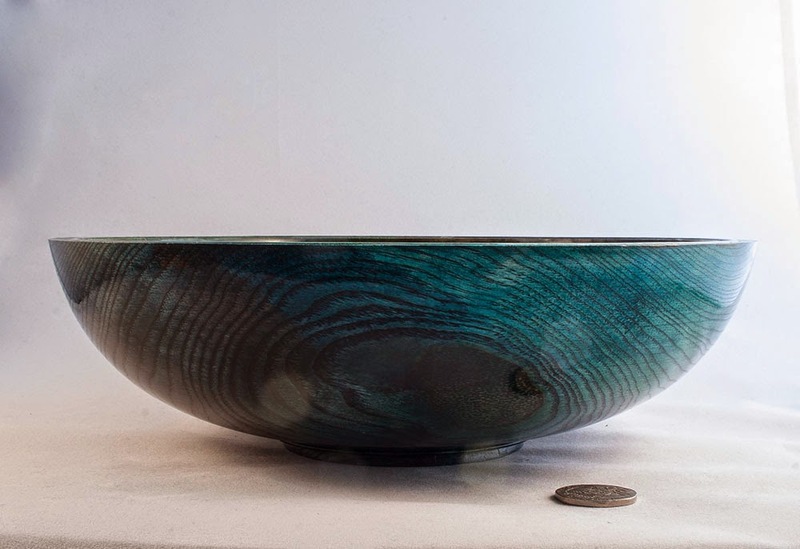 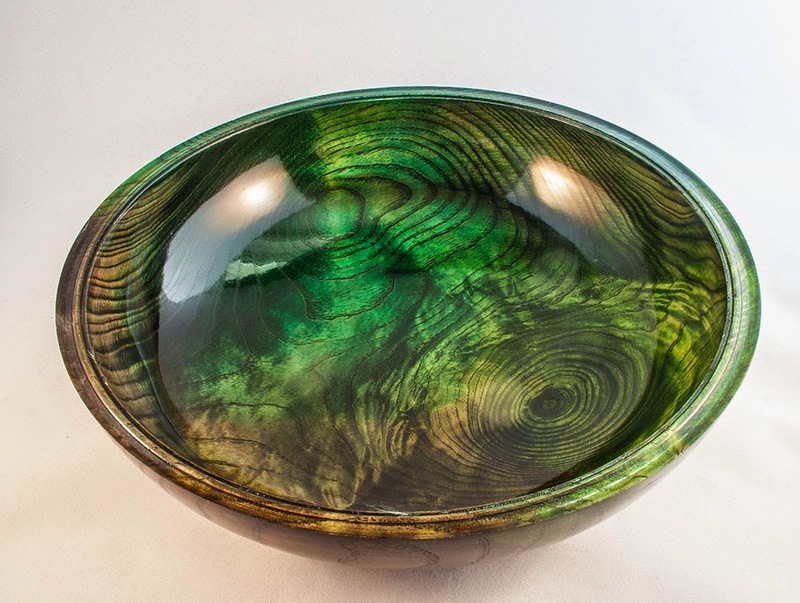 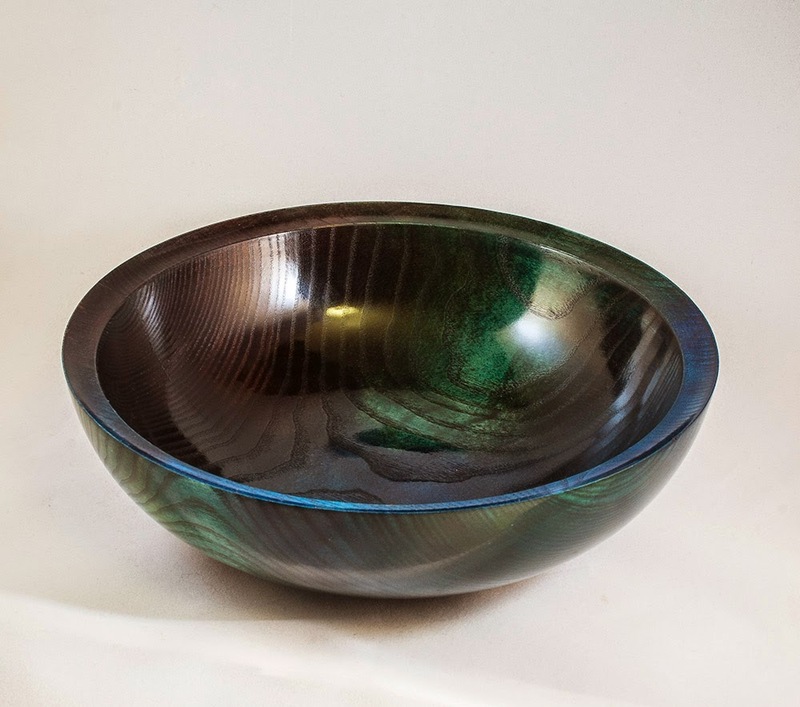 The inside has a very different character in colour to the outside in this bowl, being very green, but I feel it works very well as you have two natures to the bowl in one. 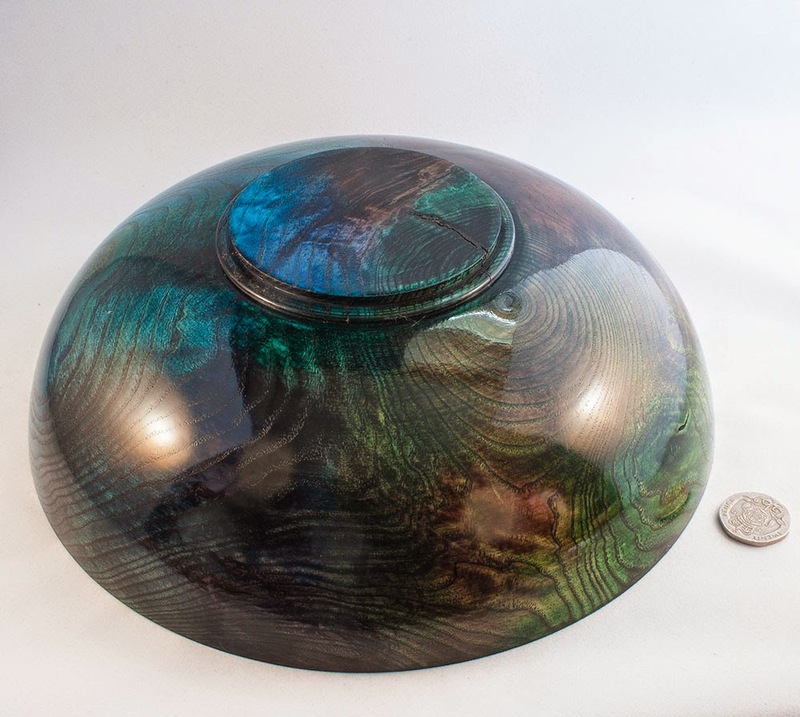 Inside finish is shellac, outside is acrylic lacquer. 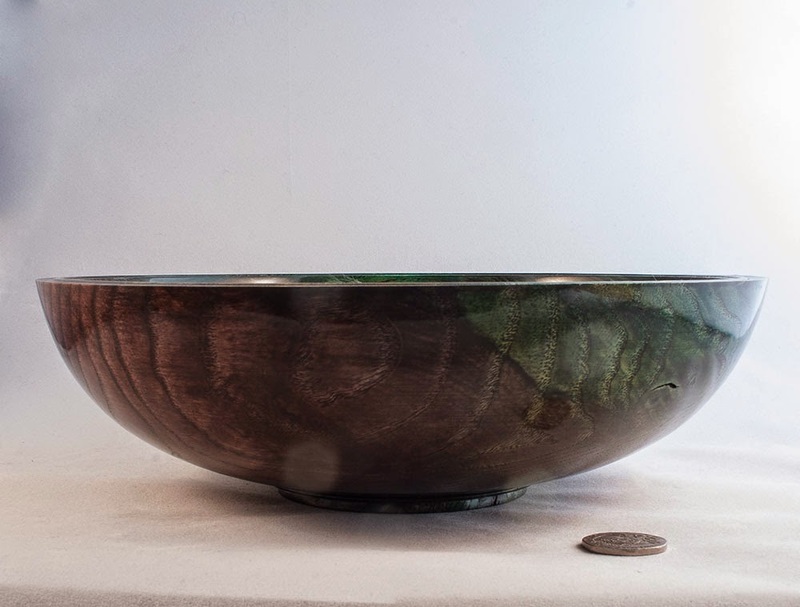 20p is for scale. 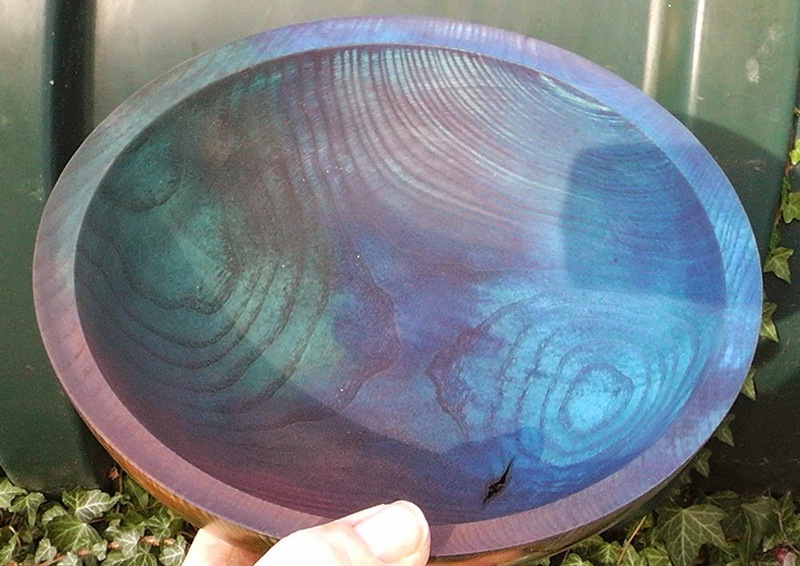 A few shots of the bowl in the colour video now lacquered and polished. 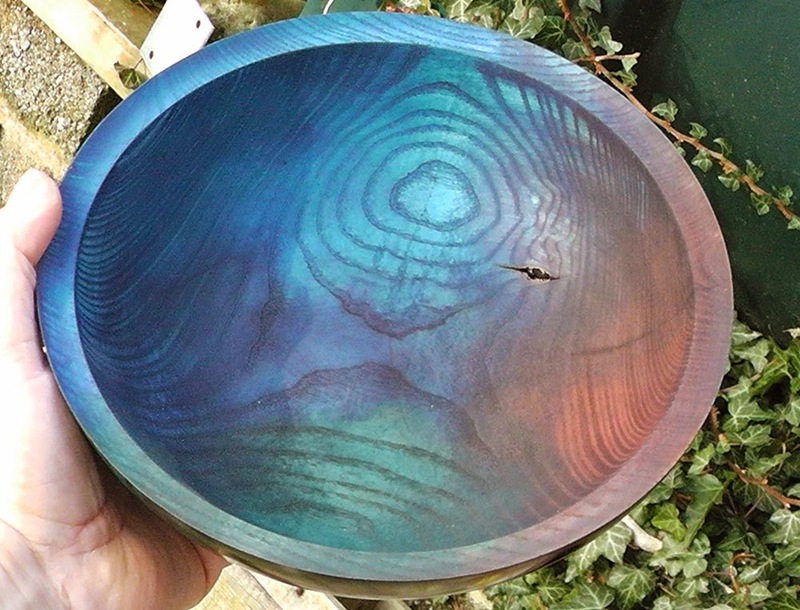 I made a small demonstration video showing some coulouring technique, below are a couple of shots showing the bowl in the light, but without any lacquer, you can see the colour looks well enough, but later, once the lacquer is applied, I will add the finished photos and you will see the difference a gloss finish can make to a coloured piece. 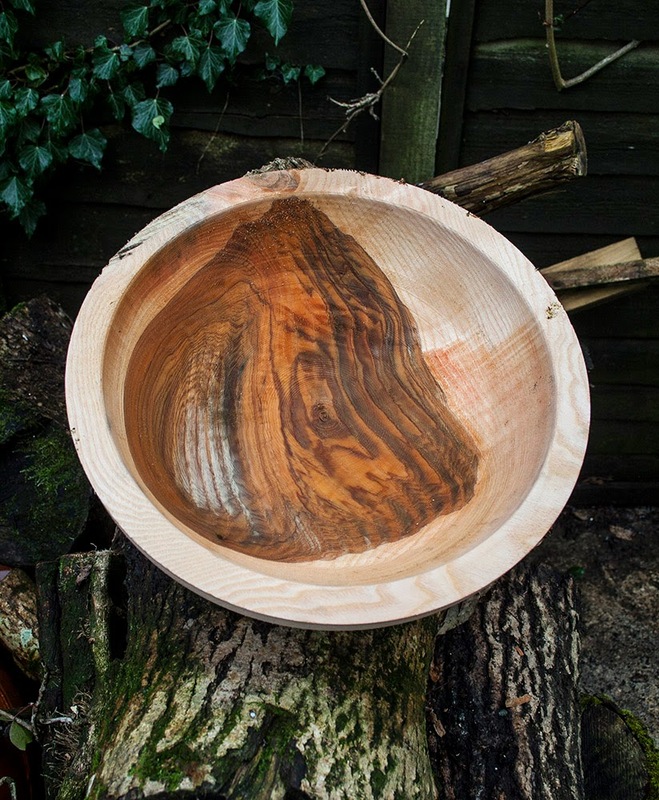 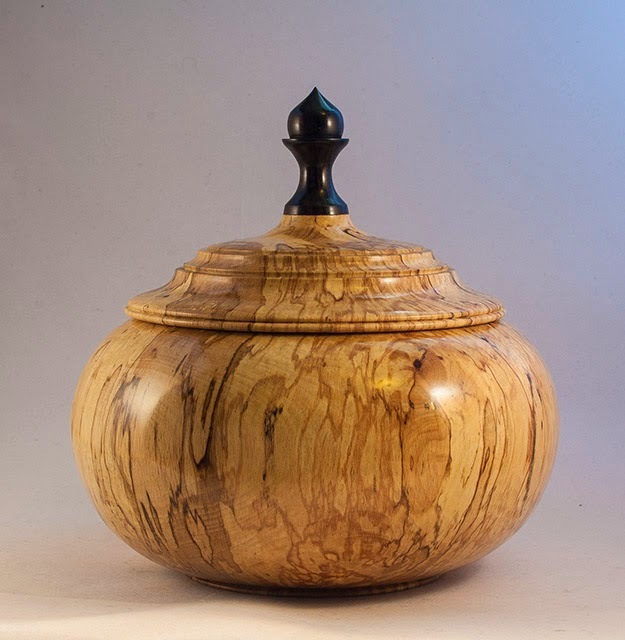 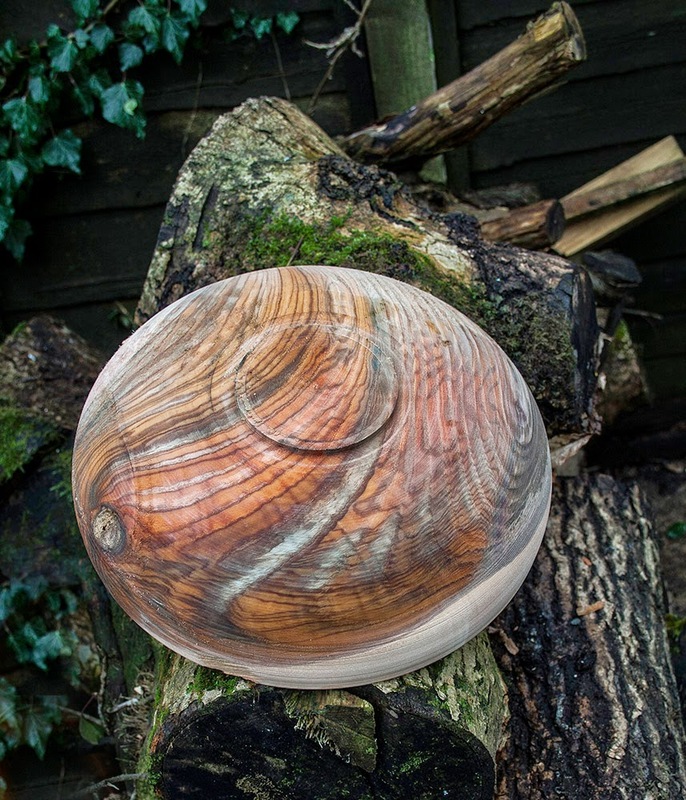 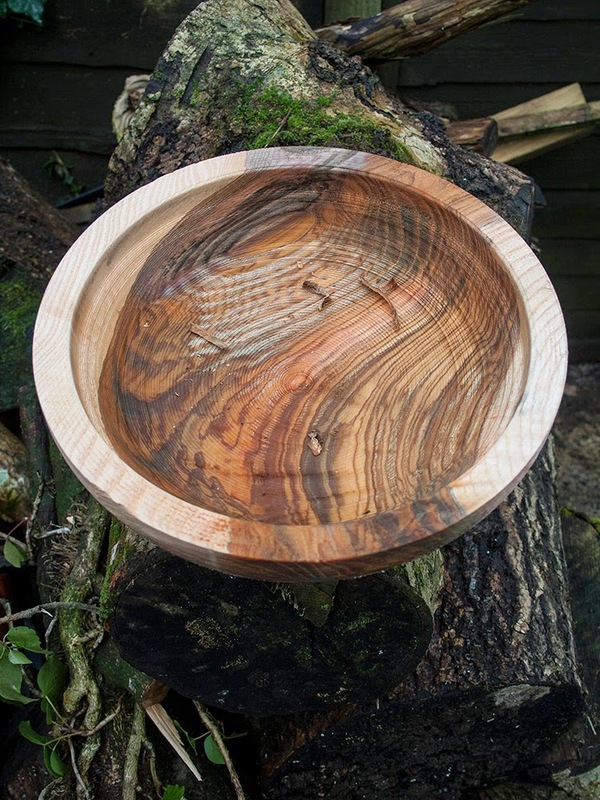 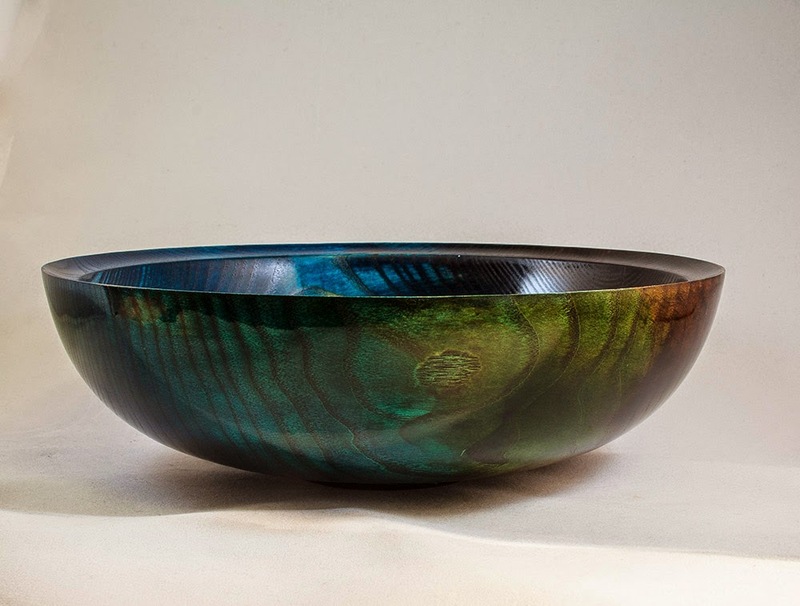 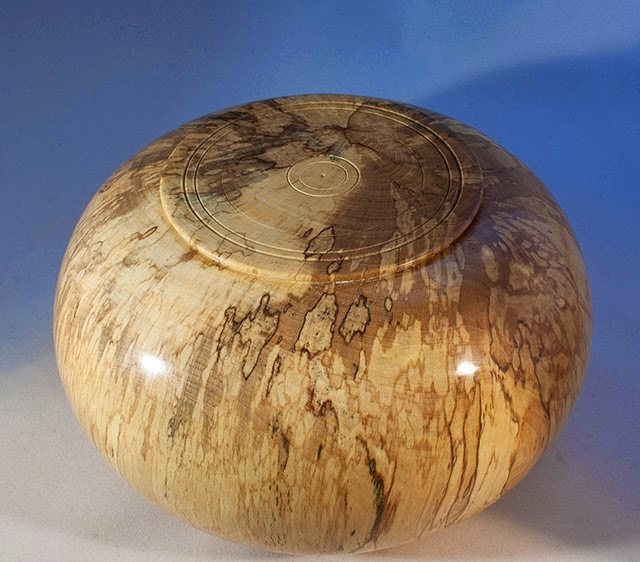 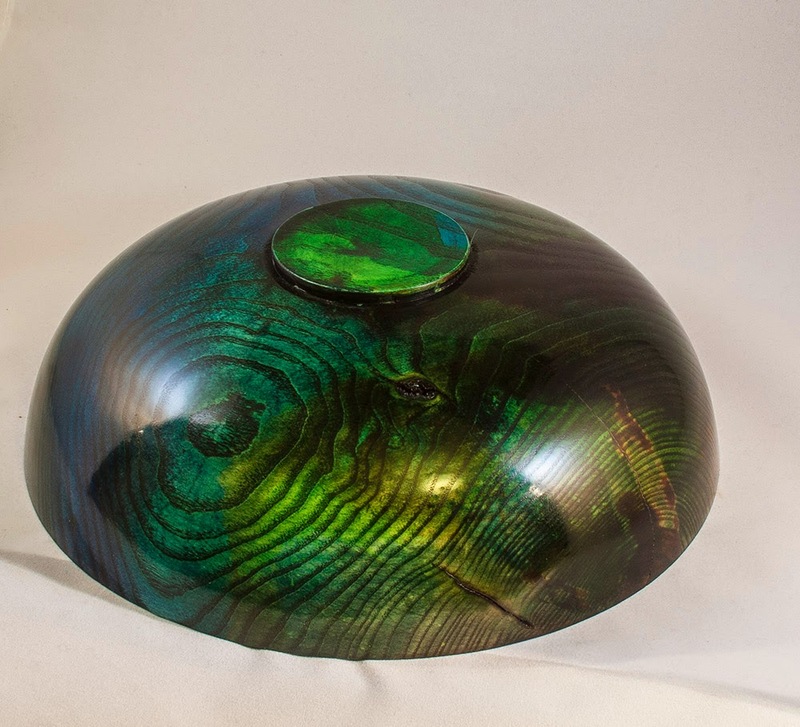 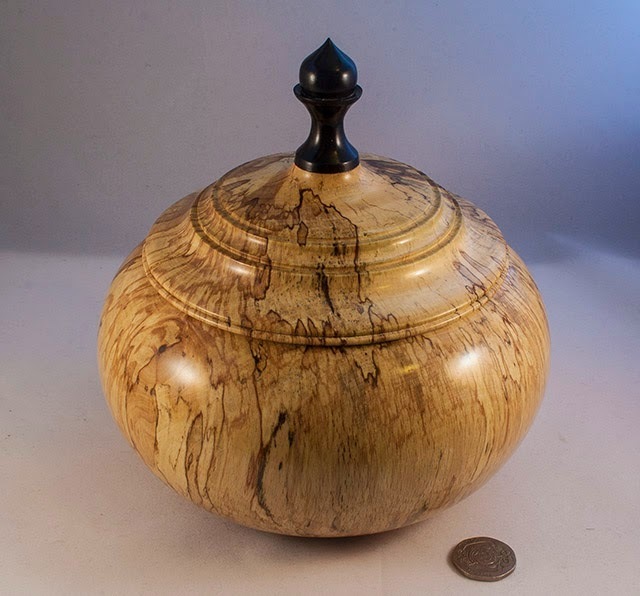 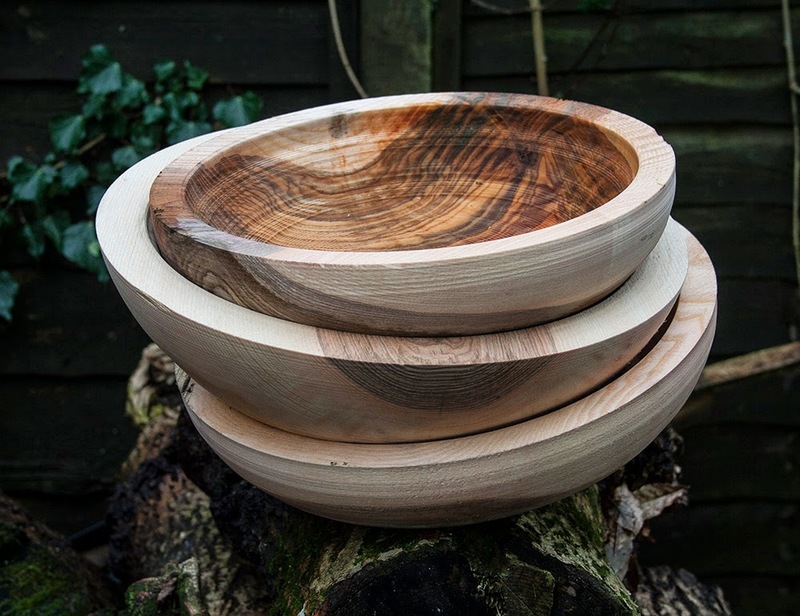 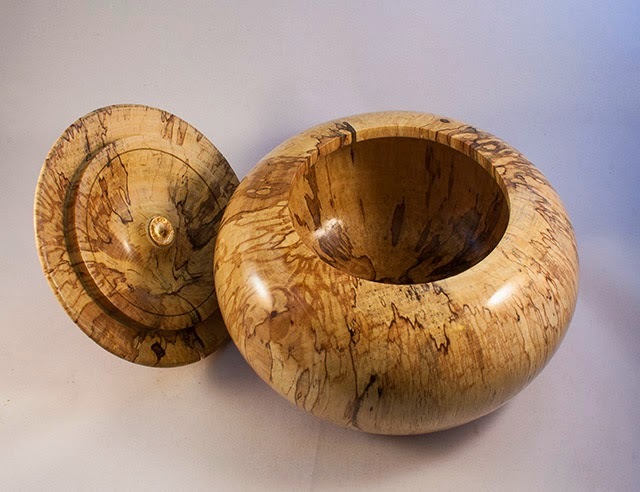 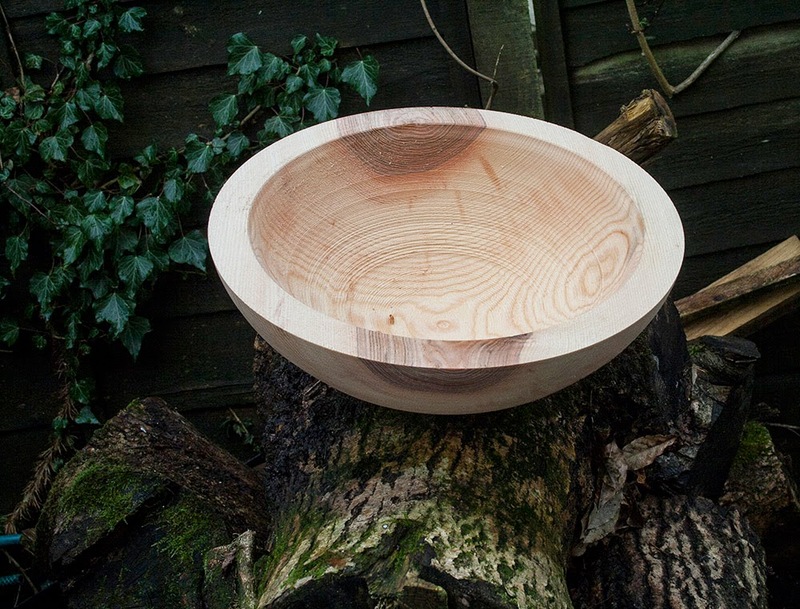 But well worth the effort, the prize of course is the beautifully marked Olive Ash which dominates the main bowl base, it is a great shame that the wood does not retain these vivid colours though, but still, I am sure it will look very eye catching as a finished item.